Twelve South is no stranger to Mac, having made many accessory items over the years such as Book Arc and the MagicWand. These have all been very innovative and well designed products, and the current offering is no different. In fact, the beauty of this product is in it's simplicity, one of those products that make you wonder "why didn't I think of this?" 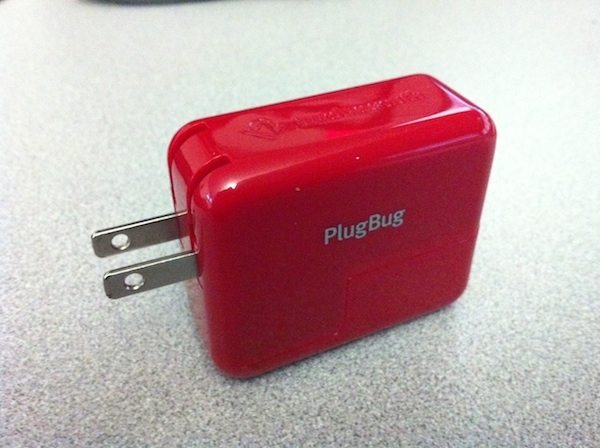 The product I'm talking about is the PlugBug. This handy device, retailing for $34.99 USD [affiliate link], piggybacks onto your existing MacBook charger and adds a 10 watt USB port, plenty enough power to charge your iPhone or your iPad. You might think "what is the big deal about that?" Well read on and I'll enlighten you! 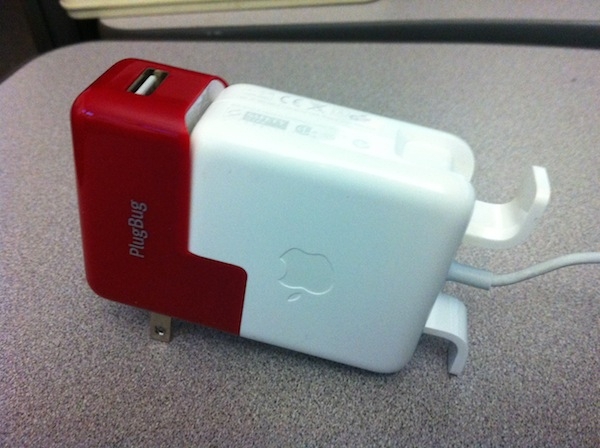 To start with, the PlugBug is a well designed product, that fits perfectly on the end of the MacBook power adapter. And before you start wondering, it fits on all current MacBook Air and MacBook Pro power adapters as well as all previous generation MacBook power adapters. On top of that, if you are from another country and traveling to the US or Canada, this handy device will act as an adapter to make your power adapter compatible with the outlets in North America. This device also, as noted above, charges at the 10W rate so you won't be waiting forever for your iPad to charge. And the bonus here is it acts as a standalone charger so you can de-clutter and take just the one plug. And it sure is easy to spot in your bag since its a bright red color, a nice contrast to the normal white color of Mac charging accessories. All in all a very well thought out adapter that works as advertised. Jeff Campbell is a fan of all things Apple, an X-boxer (the 360 kind) and geek. He works as a floor supervisor in a 911 center in the Portland, OR area, and lives in a small town just north of Mt. Hood with his daughter.